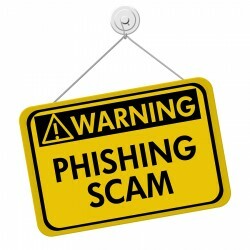 Phishing Scams | LAE Business Services, Inc. The IRS, state tax agencies, and the tax industry ask that you take care when opening emails; several of this summer’s phishing scams are directed at the tax professional community. Scammers are posing as a legitimate tax education software provider in an attempt to gain access to sensitive taxpayer information. Scammers are impersonating tax software providers in an attempt to steal your username and password. In a new scheme to steal tax professionals’ information, scammers are impersonating tax software providers in emails that ask professionals to validate their login credentials. When professionals select the links in these emails to confirm their information, they are taken to sites that mimic legitimate software providers’ login screens. Entering login information allows the scammers to steal tax professionals’ usernames and passwords and access their accounts, and, subsequently, their clients’ information. If you receive one of these emails, please forward a copy to the IRS and your tax software provider according to the IRS’ instructions (visit the IRS at Security Summit Alert: Tax Pros Warned of New Scam to Steal Their Passwords). To learn more about these and other recent scams, visit the Tax Department’s website at Tax scams and consumer alerts. Want more information about how to protect yourself? Visit the IRS’ website at Protect Your Clients; Protect Yourself. How do I know this email is really from the Department of Taxation and Finance? If you’re unsure whether this email is legitimately from the New York State Department of Taxation and Finance, enter their web address, www.tax.ny.gov, into your browser and search the keyword scams directly on the website.